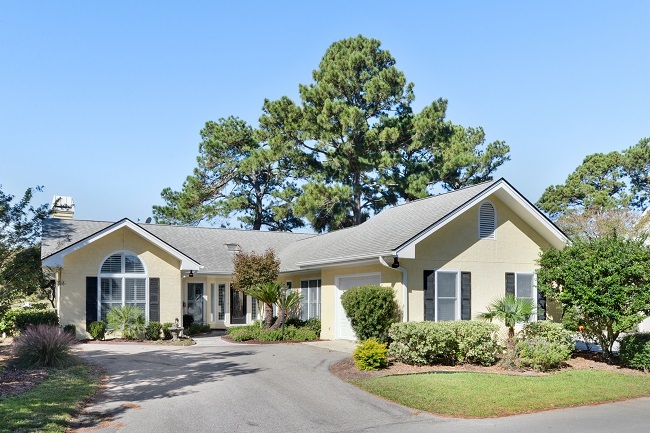 748 North Reeve Road is located in the private golf community of Dataw Island, South Carolina. North Reeve Road is a quiet street that runs parallel to Island Circle East. Dataw Island neighbors Saint Helena Island and Ladys Island. 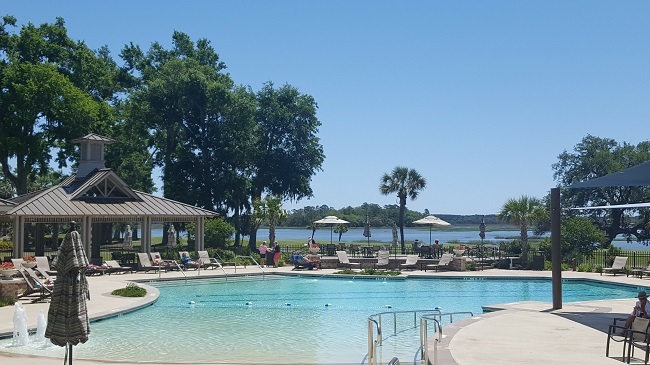 It is a short drive to Historic Beaufort, the Waterfront Park, shopping, dining and everything Beaufort has to offer. This beautiful completely remodeled single story home enjoys three spacious bedrooms, two and a half baths, oversized 1 and 1/2 car garage and over 2000 square feet of living space. It has numerous quality features throughout, including vaulted ceilings, bright large windows, and hardwood floors. It is welcoming and has a wonderful landscaping. 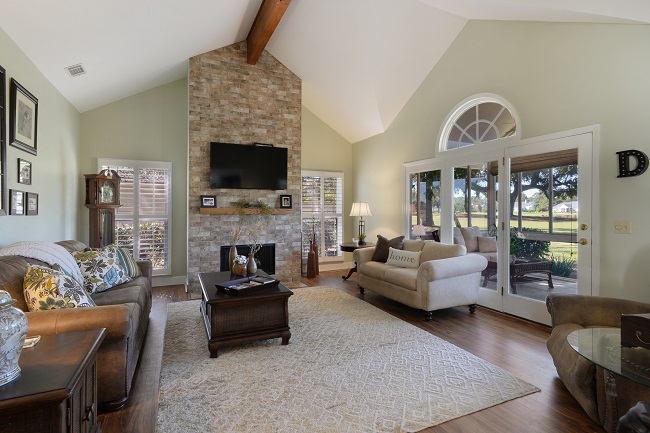 The vaulted ceiling in the living room accentuates the attractive fireplace, and the Carolina room has the perfect view of the immaculate golf course. Plantation shutters on the windows give that low country feel, and add character to the home. The open concept makes the area great for entertaining. The living room flows to the kitchen, which has a stainless appliances and attractive countertops. 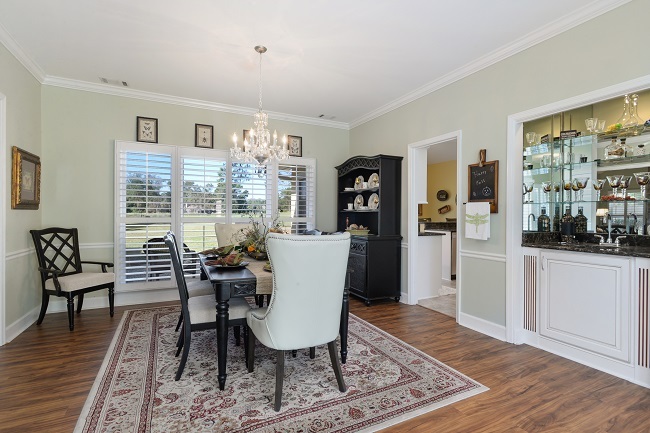 There is a great dining area with that golf course view to take advantage of. Additional seating at the breakfast bar provides more seating options. The bedrooms are comforted with plush carpet and plenty of closet space. The big bright windows give natural light that is refreshing. Many upgrades to the home include a new roof in 2011, new HVAC in 2015, new Hot water tank in 2016. Completely remodeled home. 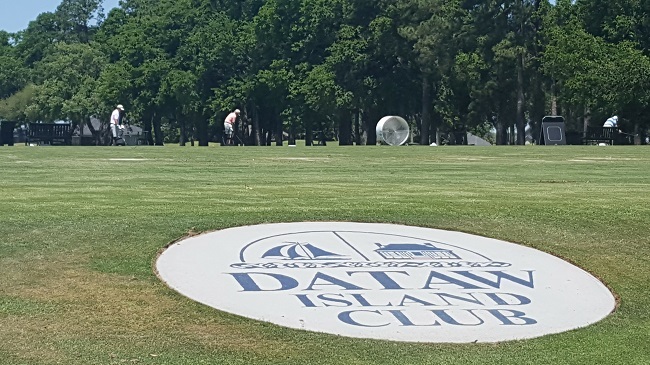 The private, gated community of Dataw Island has waterfront, golf course, and marsh front homes. It has a nationally recognized, pristine 18 hole golf course, along with tennis, workout/massage facility, and a club house that overlooks the water. Residents can also enjoy a full service marina and well maintained croquet lawns, as well as formal and informal dining options. Moments away from downtown historic Beaufort, Port Royal, and Ladys Island.